Of all the nineteenth-century Strict Baptists it is the name of Joseph Charles Philpot that is best remembered. His surviving sermons and other writings are still being printed and read in the United Kingdom, the United States of America and in many other parts of the world. Joseph was the fourth child and third son of Charles and his wife Maria. Charles Philpot was rector of Ripple in Kent. Joseph was educated firstly by his father and then at Merchant Taylors’ School and St Paul’s School. He later received a scholarship to Worcester College, Oxford. Although suffering an attack of tuberculosis while at Oxford he graduated with a First in Classics in 1824. He remained in Oxford for a further 12 months, securing a Fellowship at his College. He then accepted the offer to become a tutor to the two sons of the Irish lawyer, Edward Pennefather, in Rathsallagh Co Wicklow. All went well for 12 months but then he fell in love with Anne the eldest daughter of the family. The young couple had hoped to marry but Anne’s parents refused to give permission. Anne was sent away while Philpot concluded the final three months of his contract. Joseph was heartbroken and it is evident that the pain of this separation remained with him for the rest of his days. This time appears to be the beginning of the Lord’s dealing with him. Edward Pennefather’s wife Susannah, was the elder sister of John Nelson Darby, a future leader among the Plymouth Brethren. It appears that Darby was able to help Philpot although Darby’s claim that he was the means of Philpot’s conversion appears unfounded. Leaving Ireland, he became the perpetual curate of the twin parishes of Stadhampton and Chiselhampton in Oxfordshire. He continued in these places for seven years and threw himself into the work. His preaching drew large congregations, packing the churches. In this period Joseph came to know William Tiptaft, the vicar of the neighbouring parish of Sutton Courtenay. As a result of their studies together they both came to know and love the doctrines of grace. Both men also became increasingly disillusioned with the Church of England. Tiptaft soon left the Church of England, adopted Baptist principles and founded a Church in Abingdon. Philpot agonised on the same issue, being very reluctant to leave his flock, but eventually in 1835 he did resign. Some six months later in the Baptist Chapel in Allington near Devizes he was baptized by John Warburton who was the Strict Baptist pastor at Trowbridge. 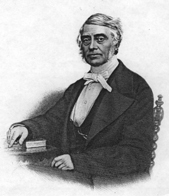 In 1836 Philpot became the Pastor of churches in Stamford and Oakham where he preached alternate Sundays. It is said that these chapels were crowded out to hear his ministry. Kenneth Dix states “His Pulpit exercises were almost exclusively for the saints, tracing out the trials and deliverances of the tried child of God.” His joint pastorate ended in 1864 due to ill health. Together with his pastorates he was also the editor of The Gospel Standard Magazine. He had been involved from the beginning of the magazine in 1835 but from 1840 until his death he was in sole control of it. The main contents of each issue emphasised Christian experience in order to feed ‘the living people of God.’ He brought to the magazine great ability and as a result the circulation grew from approximately 7,000 per month to nearly 12,000 by December 1862. After his resignation from the pastorates at Stamford and Oakham he moved to Thornton Heath in Surrey and died there in December 1869.